Our annual unit military ball is upon us. To sign up, please compete the attached form to indicate desire and food choice for the evening. For our out of semester cadets, uniform re-issue will take place from February 28th thru March 2nd from 3-5 pm. 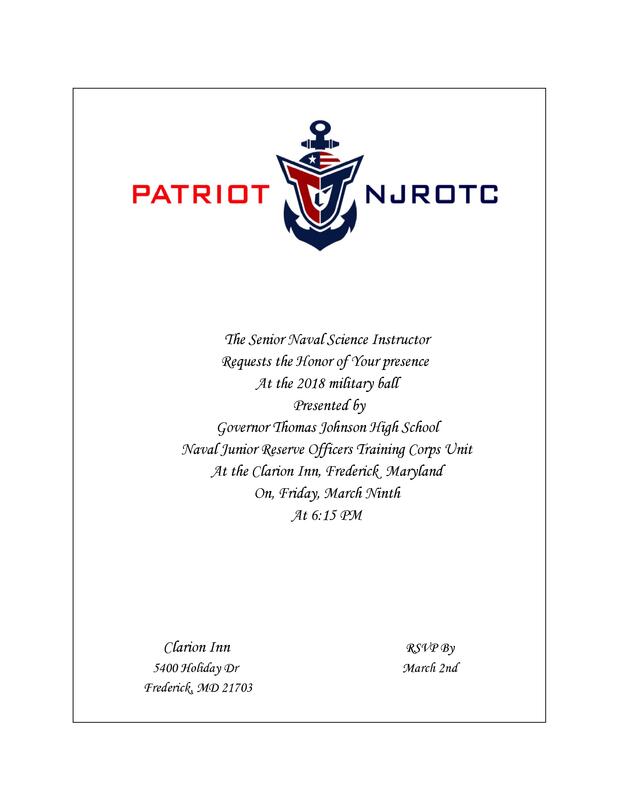 If paying by check, please make it payable to, Patriot NJROTC. Please contact your cadet staff or instructors should you have any questions.